What can I say about the World Cup? All I can say is that it starts with 32 teams, takes a month and at the end, only one country’s left smiling. And so after 62 games and loads of surprises, they’ve weeded out the thirty pretenders and gave us the two contenders: Germany who has won the Cup three times before and Argentina who have won it twice before. The Maracana will be the stage for deciding the World Cup winners. Here I’ll do a rundown of the two teams and even make my prediction on who I think will win the Cup. First an interesting note I came about. Isn’t it ironic that both the final for the Cup and the 3rd-place match are both like rematches of quarterfinals of the last World Cup? Anyways I’ll get on with it. Germany and Argentina have squared off against each other 20 times. 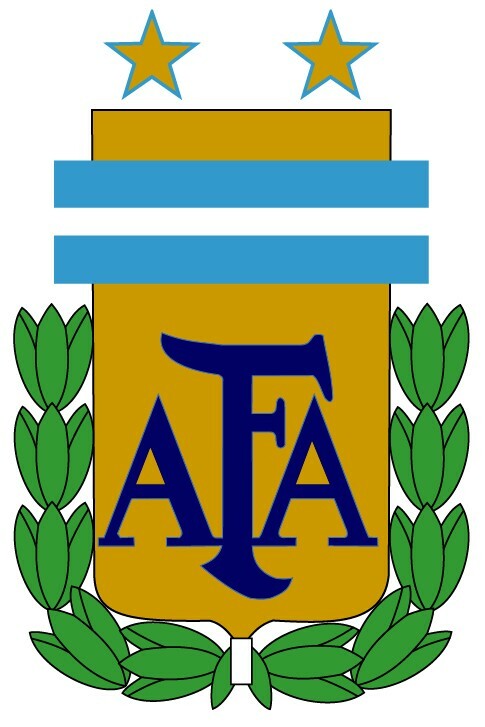 Argentina has won the most often with nine times. Germany has won six and five were draws. Both Germany and Argentina have scored 28 goals against each other. Germany and Argentina have crossed paths at seven World Cups starting in 1958. Surprisingly this is the third World Cup in a row they both challenge each other. The previous two were in quarterfinals. In 2006 when Germany hosted, they tied 1-1 and it took a round of penalty kicks to decide Germany the winner. Last World Cup it was Argentina that had their own version of the Mineirazo as Germany won 4-0. Also as surprisingly, this is the third World Cup Final they both face each other: the most World Cup finals pairings ever. The first was in 1986 when Maradona and the boys won 3-2. The following World Cup they met again and it was German revenge 1-0. In both cases, that was the last World Cup either team won. ARGENTINA: One word that can best describe Argentina here at the World Cup is consistent. They won all three of their Group Stage games: 2-1 against Bosnia, 1-0 against Iran, and 3-2 against Nigeria. They also won their Round of 16 match against Switzerland in extra time 1-0, their quarterfinal against Belgium 1-0 and their semifinal against the Netherlands in a penalty shootout. There’s another word to describe Argentina’s play at this World Cup: lackluster. The phenomenal big play that Argentina has been known for was missing. Instead it looked like they were focusing on the conservative. Sure, the conservative style worked for France last world Cup but this is not what you’d expect from Argentina. Sure Lionel Messi has been one of the stars of the tournament and has lived up to his reputation during the World Cup but other Argentinians like Gonzalo Higuain and Angel di Maria have been playing rather modestly than what they’re reputed for. That scoreless draw should be cause for concern since it was mostly a contest of ball control and very little attacking. In fact I remember a scene near the end of regulation where it appeared Dutch players were lollygagging with the ball. Whatever the situation, conservative play will not come in handy, especially against a team that annihilated the host country on Tuesday. That game has to be the biggest signal to Argentina that if they were to win the Cup, they will be pressed to pour it on like never before at this Cup. There’s no doubt Messi and Higuain have what it takes here. They have to be prepared for a similar attack like Germany gave Brazil on Tuesday. 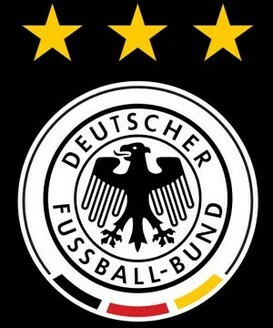 It’s evident that Germany can take full advantage of an opponent’s vulnerability and come down hard on them. They should know because Germany beat them in the quarterfinals at the last World Cup 4-0, just after winning every other previous game they played. As for the team, I’m not worried about Messi. I think of him as Maradona without the ego. Especially since it’s evident he knows what he needs to do to deliver here and he’s done that. Sergio Romero has been an excellent goaltender as he has delivered each time and has only conceded three goals. The rest of the team will have to be prepared for anything from Germany whether it be conservative play or an all. And with Angel di Maria out, they will have to step up their midfield. Coach Sabella knows the job he has to deliver and I’m sure he’ll mean business, especially to bring Argentina back on top after 28 years. GERMANY: What can I say? They are not called the Mannschaft for nothing. What we have is a team that is lacking in superstars and celebrity. Heck, Miroslav Klose has scored the most goals in World Cup history and he doesn’t have the star power as say Neymar, Messi or Cristiano Ronaldo. Instead we have a team full of players that are focused, know what they have to do and deliver. And they definitely know how to pour it on as evident in the Mineirazo and their opener of 4-0 against Portugal. You can bet Germany is a team that knows how to deliver. Or do they? Sure, they had big wins against Portugal and Brazil but they have had their share of tight matches at the World Cup, like when they temporarily trailed Ghana before they tied 2-2. Or even going scoreless against Algeria in regulation before winning 2-1. 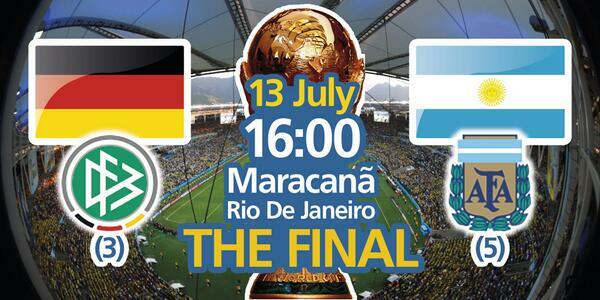 It’s evident in those matches that Germany has weaknesses of their own and could be made vulnerable by Argentina. Argentina is a team very familiar with them and knows how to rival them. It’s also very possible Argentina will want to avenge Germany for the last two World Cup quarterfinals. Sure, Argentina has not been too spectacular but they could just pour it on when they have to. It’s happened before in major play. One thing about Tuesday’s game, it’s that coach Joachim Löw doesn’t want that big win to make his team overconfident. Even Miro Klose stated that he doesn’t want the win to get to the team’s head. What they’ll have on Sunday is a new team and will need a new plan to win. It’s evident with each passing match, it’s all about knowing the rival, controlling them and monopolizing on your chances. And that’s what Germany will have to do on Sunday to win the Cup for the fourth time and for the first time ever as a unified nation. MY PREDICTION: Okay. So here goes. 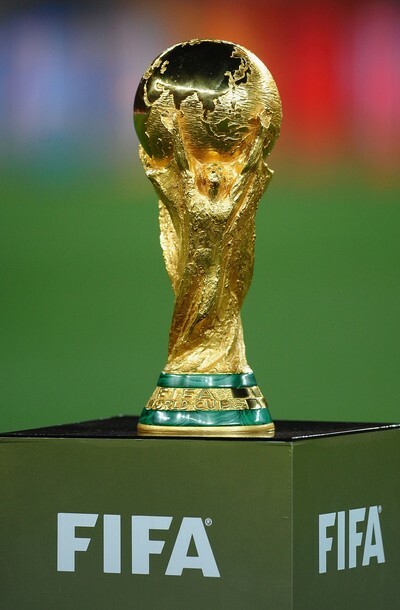 My prediction for the winner of the 2014 World Cup. I believe it will be Germany 2-1 in extra time. Wow! I’ve been making a lot of predictions where the score is 2-1, haven’t I? But that’s what I believe it will be. Germany have that edge in terms of delivering goals and will continue to be the case if Argentina don’t step up their game. Argentina know how to defend and control opponents but they lack the ability to monopolize on their chances. So that’s why I give Germany the edge. So there you go. It was fun making predictions for the World Cup. I hope to do football/soccer predicting again sometime soon. Maybe my next chance will be for next year’s Copa America. Provided if TSN or ESPN broadcast it. A movie about a mother scorned is very rare. Our Children is a rare chance to make such a big-screen movie on that subject. The question is does it succeed at making such a movie watchable? SPOILER WARNING: Many incidents including the ending will be mentioned in this review. So if you want it a complete surprise, please do not read any further. The film is actually one that begins with the end of the story at the beginning. We see a woman in a hospital bed saying to have her children buried in Morocco. After we see four red coffins being brought onto a plane. Hey, don’t say I didn’t give you a spoiler warning! We first see a young Murielle in love with a Moroccan medical student named Mounir. He wants to marry but feels he have to have the blessing not of his father but of Dr. Pinget: a Belgian doctor who has helped him out financially and morally to study medicine. The marriage is successful even receiving the blessing of Mounir’s mother. However there’s one catch. Dr. Pinget is to live in the same house. Murielle reluctantly goes along with it. Meanwhile Mounir has to deal with the feeling of animosity from his brother. Murielle continues on with her job as a teacher and Mounir starts practicing medicine. They have two daughters. They go through the usual ups and downs of having a family. Dr. Pinget is not that much of an interference although he is strict with the couple that he is the only doctor they see. However it’s obvious about Pinget’s control when Murielle is pregnant with her third child. Mounir thinks of moving to Morocco as it would be less stressful with the couple. Pinget is infuriated and takes it as an insult. The couple do spend time in Morocco and it helps with Murielle as it alleviates her stress. Mounir’s mother even makes her feel like one of the family. Murielle’s sister even falls in love with Mounir’s brother and they marry. The stress returns to Murielle as she returns back to Belgium. Pinget is back into her life. The stress of managing three children is catching up to her and a fourth child is expected on the way. The stress has gotten to the point she even takes it out on a student who misbehaves in class. On top of that her husband is always under Pinget’s wing and controlling in his own way. She sees a psychiatrist, Docteur De Clerk, who’s very helpful with her psychological condition even after the birth of her fourth child. However Pinget finds out and is very angry towards her, even threatening. It’s then that Murielle finally decides to commit a rash act to ‘end her troubles’ once and for all. At first when I saw this, I wondered why on earth would someone try to make a big-screen movie about a mother killing her children. It isn’t until later on I read that this film is based on a story that actually happened in Belgium where a young mother couldn’t take it anymore and she killed all five of her children. This movie attempts to parallel that very story. After reading up more on the story of the event, I could see a lot of parallels: the relationship, the doctor that was controlling and how the children were killed one by one. I think that’s it about this movie. It echoes a common story we hear many times before: a mother murdering her children. North Americans are familiar with the stories of Susan Smith, Tarajee Maynor and Andrea Yates. A story like this is not that common in Europe but it does happen. The thing about this film is that it is done primarily from the mother’s point of view. I think that was the attempt of the filmmakers: to make such a film that people could relate to. I don’t think people seeing this would want to kill their children but I think people could relate to the struggles of young motherhood and someone interloping into their life and having control over what they do. There have been many murder movies where the murderer is shown as a person that possesses dark personality traits that are inside all of us. I think that may be why this story was done; to show the killer that personality traits and weaknesses we too possess. Also I have to commend the filmmakers for not crossing the line and making it unwatchable. No one wants to see children murdered on a big screen, especially in a story close to the truth. It made a smart move by making it similar as she called the children one by one but kept the killing part hidden off-screen and completely silent. Even in the aftermath, all we see is a house with her phone call to the police. I remember taking an acting course where a teacher said people like simulation as opposed to the real thing. Good to see them holding off there. The movie does answer some questions but it also opens for other questions too, especially about the murders that story is based upon. Why did she kill her children? I don’t condone murder of any kind but why didn’t she kill the doctor instead? He was the controlling one. I guess I’ll never know and there’s only one person in the world that can answer those questions. Also the position of Dr. Pinget in the relationship. Why was he that controlling? Was it because of Belgian law? Was it because of his belief that since he was a mentor to Mounir, Mornir’s whole family should do everything he says? Was it Mounir’s own feelings of loyalty for all the mentoring he gave him? We shouldn’t forget Dr. Pinget was as controlling to Mounir as he was to Murielle. That question remains unanswered too. Emilie Duquenne did an excellent job in her acting as Murielle from the young girl in love to the mother breaking down. That scene where she’s behind the car singing a song and breaking into tears is a very powerful scene and was excellently acted. North American audiences are not familiar with Duquenne but European filmgoers know her as the young teen lead in the Cannes Palme d’Or winning Rosetta from 1999. Tahar Rahim was also very good in his role as Mounir, the one caught in the middle. Niels Arestup was also excellent in his supporting role as the controlling Dr. Pinget. Interesting is that Tahar and Niels have worked with director Joachim Lafosse before in the film Un Prophete. The three are back together with something different. Lafosse does a good job in making a normally-unwatchable story watchable not only with his direction but also co-writing the script with Matthieu Raynart and Thomas Bidegain who also wrote Rust And Bone and co-wrote Un Prophete. The directing and writing did a good job in sending the message to the audience through what was unsaid and silent more than most films can send through dialogue. Our Children is Belgium’s official entry in the Best Foreign Language Film category for the upcoming Academy awards: one of twelve films at the VIFF that are their respective country’s official entry in that category. The film was nominated for the ‘Un Certain Regard’ award at this year’s Cannes Film Festival and Dequenne’s performance won the Best Actress award in the ‘Un Certain Regard’ category. I don’t know if Our Children is really all that watchable of a movie about a mother scorned but it does make efforts to be watchable without losing the story and relatable as far as human emotions go.